OKT's 2016 Women Of Color Series features fabulous food justice and natural health experts. As part of its Women of Color strategy, Our Kitchen Table is bringing some amazing women to Grand Rapids to educate and inspire. 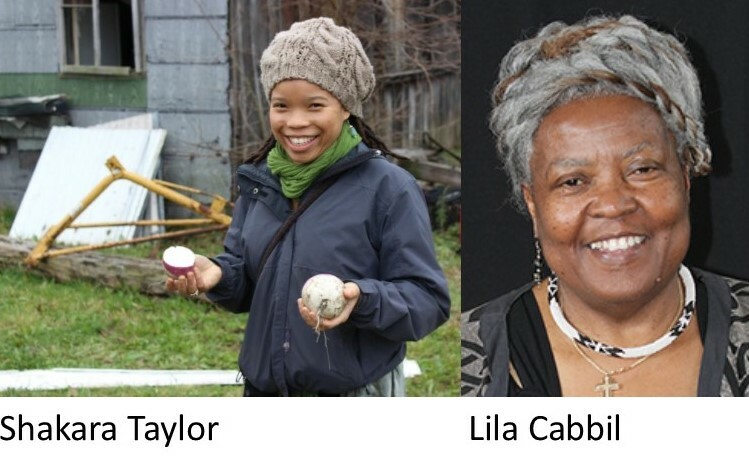 May 12: Detroit food justice and media activist, Lottie V. Spady will facilitate OKT's Women of Color Cook, Eat & Talk: Herbs from Your Garden as Medicine, 6 – 8 p.m. at Sherman Street Church, 1000 Sherman St. SE, 49506. A Detroit food and media justice activist, Spady works with Exhalation Integrative Wellness Center and the Urban Apothecary, a pop-up shop, and creates herbal products under the Detroit Elixir & Salve Company brand. 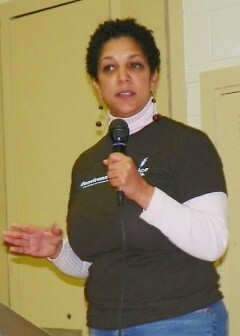 Lottie also blogs at Earthseed Detroit, about the challenges of living a sustainable, healthy lifestyle. Lottie will speak about the uses of medicinal herbs we can grow in our own gardens. From 6 – 8 p.m. at Sherman Street Church, 1000 Sherman St. SE, 49506. May 21: Lila Cabbil, life-long activist and president emeritus of the Rosa Parks Institute, will facilitate a daylong Anti-Racism Summit, 10 a.m. – 4 p.m. at Sherman Street Church, 1000 Sherman St. SE, 49506. Lila worked alongside Rosa Parks for decades. 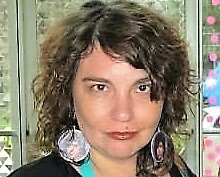 She is one of the editors of the book Accountability and White Anti-Racist Organizing: Stories from Our Work. Lila continues to work tirelessly for water justice in Detroit and, now, Flint. In addition, she has worked with Our Kitchen Table staff on team-building. August 11: the Women of Color Cook, Eat & Talk will feature Adela Nieves ADS, CCT, RMT speaking on Food as Medicine, 6 – 8 p.m. at Sherman Street Church, 1000 Sherman St. SE, 49506. Nieves is a Traditional Community Health and Healing Arts Practitioner, currently studying to become a Naturopathic Doctor. Deeply committed to integrative wellness approaches, she practices Acudetox (ear acupuncture), indigenous traditional medicine, cupping therapy, whole person natural care, and Reiki for individuals and groups struggling with addiction, PTSD, stress and trauma. Her philosophy is to support those in their journeys to tell their own stories and define health, healing, and wellness for themselves. November 10: Shakara Taylor will lead the Women of Color Cook, Eat & Talk Womanism and Agroecology: An Intersectional Praxis, 6 – 8 p.m. at Sherman Street Church, 1000 Sherman St. SE, 49506. She is also facilitating OKT's Diagramming Your Food System workshops 6 to 8 p.m. July 18 at Garfield Park Lodge, 334 Burton St. SE. A mother, returning generation farmer, educator, activist-scholar and PhD student at Michigan State University Department of Community Sustainability, Shakara explores decolonial pedagogies in the food justice and food sovereignty movements within the communal praxis of black agrarianism. Her personal journey of loving, healing and decolonizing is intimately wedded with working and learning with the land. She is committed to working with communities and using land-based activism to build food sovereign communities.